Our new FH family of compact vision systems combines versatility with performance but also with value for money. 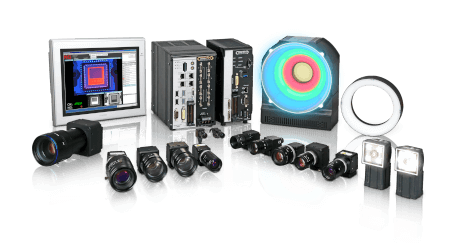 This powerful combination makes these innovative products the ideal choice for achieving precise and dependable inspection and measurement in an exceptionally wide range of applications. So how do they do it? 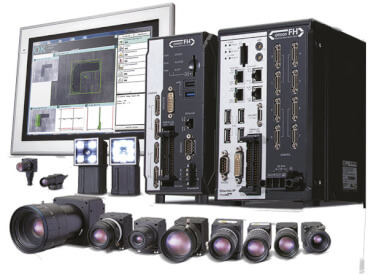 FH-series controllers are compatible with all the cameras in our extensive line-up, and they feature powerful multicore processors that ensure fast processing even when working with high-resolution images. In addition, all models incorporate our unique Shape Search III object detection algorithm, which allows fast, precise measurements to be made even if images are out of focus, or if the targets are randomly positioned, rotated or overlapping. The FH vision range currently offers a choice of three controllers: the FH-3050 ultra high speed model with a four-core processor for the most demanding applications, the FH-1050 high-speed model with a dual-core processor for standard applications, and the new FH-L550 model, which also has a dual-core processor and is designed to provide an attractively priced option for applications that do not require extended functionality. 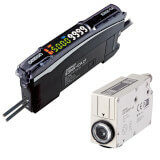 To facilitate integration with automation systems of all kinds, our FH controllers support Ethernet/IP connections. The FH-3050 and FH-1050 models also support EtherCAT, which provides communications cycle times as short as 500 µS, as well as allowing the implementation of motion control synchronised with the communication cycle. A further benefit of the FH-3050 and FH-1050 models is that they offer multi-line processing, which means that in some applications, a single controller can be used where previously several would have been needed, enabling substantial cost savings. The novel software supplied with vision controllers in the FH range makes them easy and convenient to set up and use. The operational interface can be customised by freely arranging the interface elements to suit the user’s needs, and by eliminating buttons and other elements that are not needed for the application. The software can also provide completely different interfaces for the designer and the end user. Furthermore, configuration, even for complex tasks, is simplified by the provision of integrated libraries for functions such as image filtering and high-precision alignment.